If you are looking for a guide on how to spray paint a car and are reading this now, then you are on the right page! Maybe you have a grubby, faded, old looking car that you want to change to something more appealing? Or just looking change the old color after it has become ugly or dull? Whatever the reason that makes you want to repaint your car, doing a DIY paint job is a way of getting a new look for your car. You can save thousands of dollars if you can do a good prep work and approach it systematically. This is a quick guide on how to achieve this. 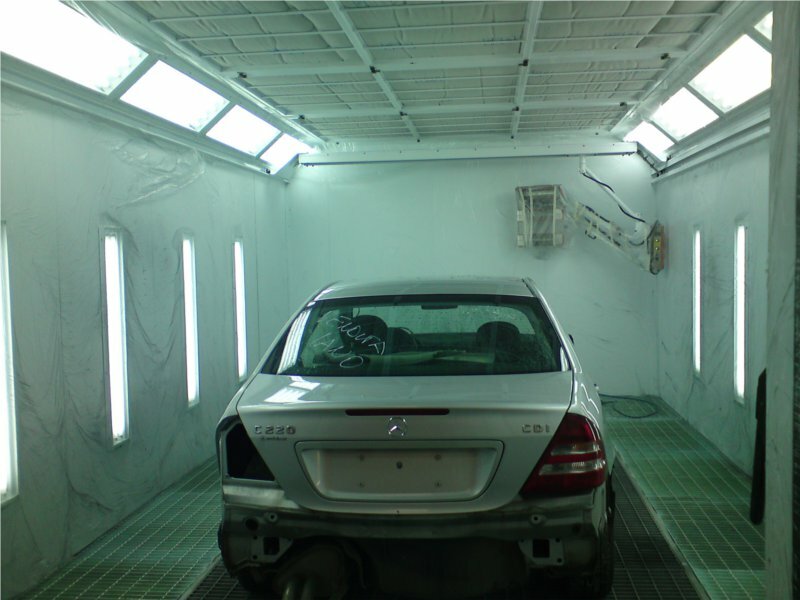 When you are painting your car with a paint sprayer, there are many things that will typically go into the pre-painting stage. This mostly has to do with preparing the surface you want to paint and where you intend doing the painting job. If you have been doing this for some time, I know you already know what to do and probably even have your own unique way of priming. However, if this is your first time, be aware that the preparation is what will take most of your time as the painting itself is just some several minutes or a few hours in the case of automatic painting job. …If you are painting in the summer, it will be warm and dry and you can do it outside with a peace of mind. However, if the weather is cold and icy, it’s better to gather yourself in a well-ventilated area under a warmer temperature such as your garage. After that, mask off all the areas you don’t want the paint to reach using a masking tape or newspaper or any other item you are comfortable with. Just make sure it is resilient enough so that it will not be pulled up after you point the sprayer at it. After laying down the groundwork, you need to get the materials you will need. Typically, you will need a painter’s overall (or anyone that covers the whole body), goggles, dust mask, and a pair of gloves. All those steps are needed to protect you from contact with the paint. Before you start, try to do some practice spraying technique if you have not done this before. Look for some stainless steel or plastic or wood lying waste around and spray it trying side-to-side swaying or round spraying. Get yourself into the momentum and once you get a good idea of how the paint flows, you are ready to start working on your car. Before you spray your car, make sure you remove dings, dents or hole by filling them up. You should also make the surface smooth and prepped for painting by polishing it with a grit sandpaper. While you can paint your car on any day, you will need to pick the right day if you want to do a nice paint on your car. What I mean here regarding a good day means a day with little or even no wind. You do not want the wind to mess up your work. Of course, also pick a day in which you are energetic. If you are just too tired of doing that, maybe pick another day would be fine. Well, this is an east step—use your imagination! Personally, I prefer silver—this works just the best with a car. You will first need to wash the car before spray painting it. After washing it with soap, rinse it off fully and use the wet sponge to rough up the surface of all the paint of your car. Cracks and crevices should be given extra attention. This is only confined to the area where you want to paint—of course, wash the whole car if you want to re-paint the whole car. This is because you need to keep the working area full of moist. After roughing up the services, wash the car again and dry it with the cloth. Then, all you need to do is to leave it under the sun for several hours. You should wait until all the water dries off. Otherwise, it will mean trouble when you are spraying the car. No one will regard a rusted car as a fashionable one, and therefore you need to get rid of it (or prevent the rust from spreading at least). So, sand the rusted area with a grinder. A coarse grit sandpaper will also do. Then, take a cloth to wipe down the rusted area, and this can help you get off all the dirt. Finally, use the rust killer on the bare metal of the rusted area. Caution: do not use a wet cloth here or you will make the problem worse. After handling the rusted areas, tape off the whole car. You need to cover anything that you do not want to get painted, like windows and mirrors. Then, use your primer and hit the spot with bare metal or rust. After all these preparations you can then start spray painting your car. There are several points to note when you paint your car. 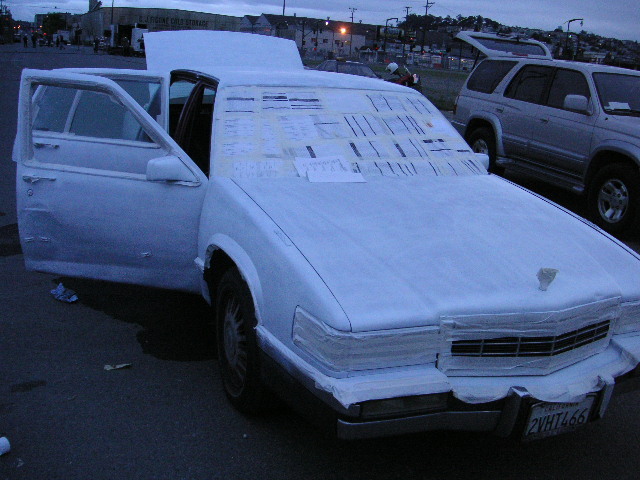 First of all, do not be too ambitious and paint a large part of the car at once. This is because you may not be able to control it. Instead, paint small areas each time, and paint the car step by step. For example, you can start with the door, then the top of your car, then the front. Another technique to paint your car well is to use short and side to side strokes when pushing the plunger of the paint can during the sideways move. This involves effective use of the plunger. The reason for doing that is that this will prevent paint from running on the edges. Also, spray in light and even coats. If you do not want to spoil your effort, do not even attempt to rush the painting or you will really mess up everything. Be patient and take your time. It will even be a better idea if you practice your paint on a sheet of metal until you think you are ready. I hope you do not need this information, but if you do: Use a simple sanding and your wet sander to take out any drips or runs, or other mistakes. Then, be more careful and start over again with a light coat of paint. No one will then notice that. If you can nail down a practice and can be persistent, you should be able to finish your priming without much problem. For the painting, you will need some techniques and a methodical approach to ensure you get a professional finish. Watching videos on techniques for painting automobiles will go a long way in enriching your dexterity in clearing an excellent finish and good look on your car. When you are through, you will have that feeling of self-worth for doing this yourself and save a copious amount of money because you didn’t hire a professional. Now that you know how to spray paint a car yourself, the next step is to go and purchase one of the best paint sprayers so Check out our reviews and ratings here!